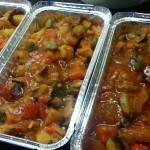 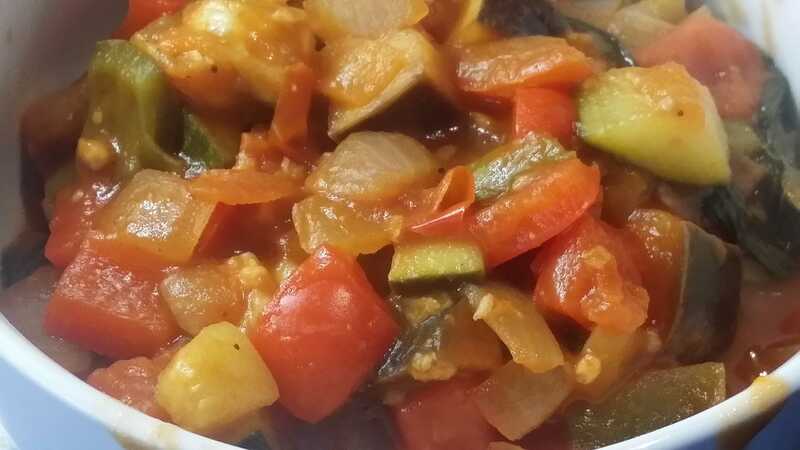 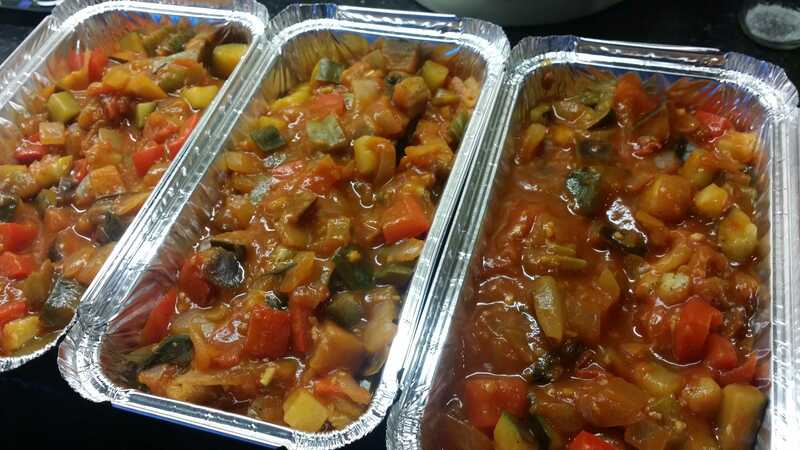 A "Petit" version of the traditional ratatouille which is a litte easier to eat and worth the chopping. 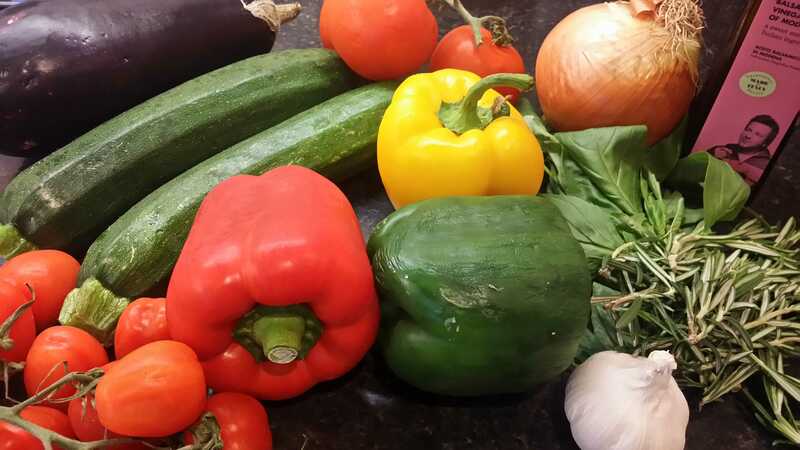 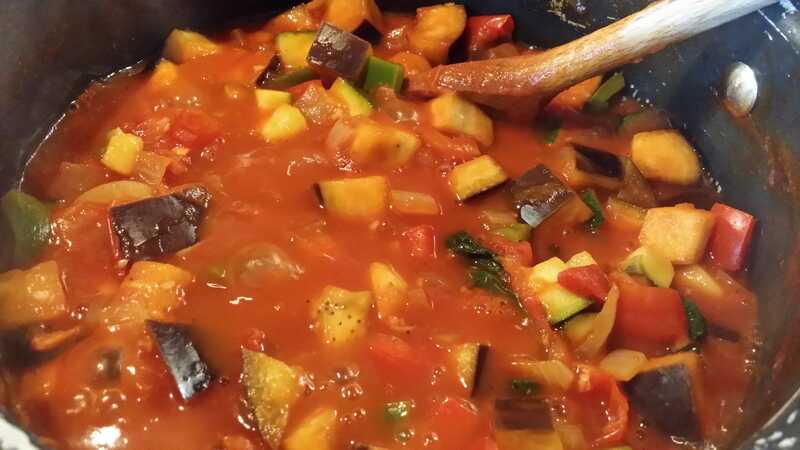 When softened, add the chopped peppers, tomatoes and courgette, keep stirring. 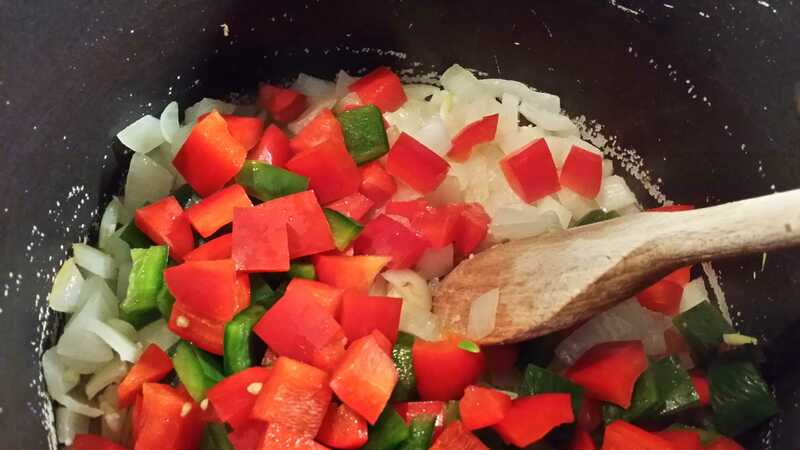 Now add the basil leaves, chopped rosemary, vinegar and sweetener and season with salt & pepper to taste.